Alright, if I am going to get into cleaning at all; I can't start without sharing these very important basics. 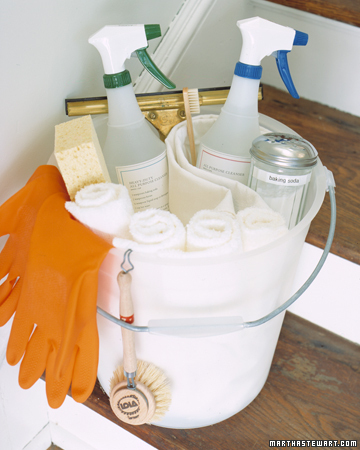 So many people think cleaning means scouring with chemicals until the house reeks of disinfectants! The truth is, cleaning can and should be done with regular household basics (baking soda, lemon juice, vinegar), and cleaned in a way that is healthy for your family (vs. completely hazardous and detrimental)! These tips are especially important to keep in mind when hiring cleaning help, because most people really have no clue what their cleaning-women are using, and honestly don't really care as long as the results are nice and clean. Read up on some cheap, simple, healthy tips that will yield you sparkling cleanliness throughout your home without being harmful. Martha's Cleaning 101 - changed the way I clean!